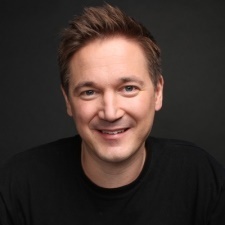 Supercell founder Ilkka Paananen took the stage at GDC this year to discuss the company’s team-first cell structure. Paananen explained that while his previous positions in games followed a very traditional top-down management style, Supercell’s cell structure places power in the hands of a number of development teams. Initially, Paananen wanted to give everyone at the studio a sense of ownership, so games were developed with meetings and input from all departments. Not only did this take up a huge amount of time, but games would hit roadblock after roadblock, and developers faced frustration explaining new concepts to company staff less-versed in game development. By looking at other successful games on the market, Paananen came to realise that on top of well-timed releases, putting developers in the front-seat was a huge boost for innovation. Supercell’s structure is centred on small teams - Cells - led by developers and designers first, who come together to push for new titles. The role of managers like Paananen? You can watch the newly published video of Ilkka Paananen's GDC talk below.